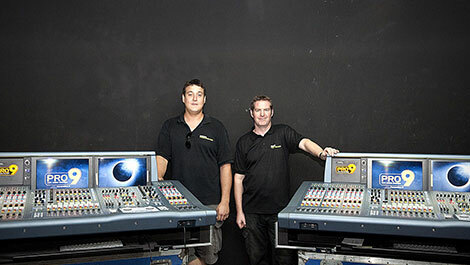 Nicolas Kyvernitis Electronics Enterprises, distributors of Midas and Klark Teknik in the Middle East have recently supplied two sets of the Midas PRO9 digital live audio system to Dubai based, Gearhouse Staging Connections. The deal includes dual sets of a PRO9 surface that include the DL251s, the DL451s I/O boxes as well as the DN9441 Rapide EQ Controller from Klark Teknik. The Midas PRO9 sits at the top of the Midas PRO Series, featuring an 88 channel input count and 35 buses. The system comes complete with the features that have been made popular by established Midas digital systems, the XL8 and the PRO6. This includes the successful VCA and POPulation groups, which allow users to navigate channels intuitively, without the confusion caused by layers or pages of faders. It features the legendary and much-loved Midas sound characteristics, which have their roots in the classic Midas analogue consoles. The PRO9 also benefits from the same comprehensive choice of effects and dynamics processing as the PRO6 and XL8, including the much-acclaimed XL8 compressor styles. “Gearhouse have made major investments in equipment over the summer and a major portion of it has been on their audio department and especially with the Midas consoles,” commented Chicco Hiranandani, Business Development Manager at NMK.